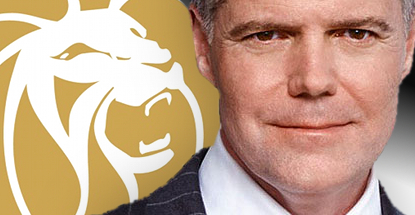 MGM Resorts CEO Jim Murren says he’s “bemused” by Connecticut’s plan to build small-scale casinos to head off the threat of MGM’s new Massachusetts resort. Murren made the comments during Tuesday’s groundbreaking ceremony in Springfield, MA, where MGM’s $800m casino expects to open in 2017. This has the operators of Connecticut’s two tribal casinos – Mohegan Sun and Foxwoods – putting aside their differences to fend off a common enemy. The tribes have proposed building three new casinos, particularly a new small-scale facility along Interstate 91 on the state’s northern border, close to Springfield. Murren told the Hartford Courant that he’d “love to go toe-to-toe with Foxwoods and Mohegan Sun.” Murren said MGM’s “brand-new, luxury resort” on three city blocks in downtown Springfield was more than enough to compete with some “box of slots” on the highway. The tale of the tape has MGM Springfield offering 3k slots, 100 table games, VIP rooms and a full slate of non-gaming amenities. 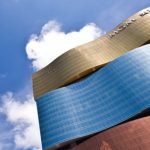 The tribes are proposing 1,800 to 2k slots, 50 to 75 table games and some basic food and beverage options. 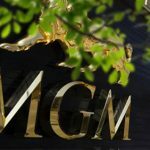 MGM has emerged victorious from its trademark squabble with a Nevada marijuana dispensary wannabe. Last September, MGM sicced its intellectual property lawyers on M’Life Wellness for allegedly piggybacking on MGM’s popular M Life rewards program. 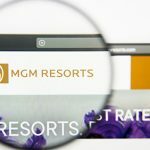 MGM was also annoyed by the similarities between its own mlife.com and the potheads’ mlifewellness.com. 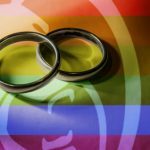 On Friday, the parties reached a settlement under which M’Life will call itself something else. 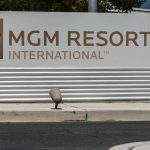 M’Life CEO Dan Lutz told the Las Vegas Review-Journal that he “wasn’t even aware” of MGM’s reward program. “I’m not a gambler, so…” He’s also not currently a pot dispenser, as M’Life’s license application was rejected in October.